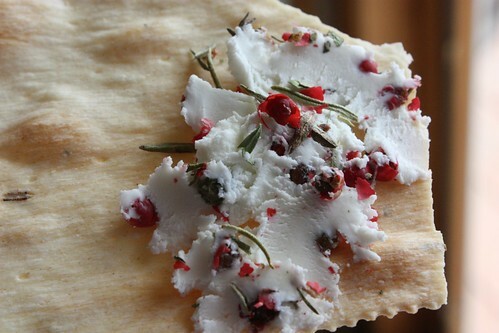 Fleur Verte is a soft, creamy cheese made in Perigord, France. It is a fresh cheese, only aged for four days, giving it that soft texture. The cheese can be cut with just a butter knife. It is about a five pound wheel, coated in thyme, terragon, and pink peppercorns. The taste is not strong, but it isn't simple like Brie. It has a slight tangy, lemony flavor. The milk used in Fleur Verte is goat, unlike many of the other cheeses that are made from the milk of a cow. Janet Fletcher suggests that one eats it with "a beet salad with raspberry vinegar, a roast chicken, some Nicoise olives and a bowl of soft greens" (SFGate). Some other ideas are a simple bread with the cheese or pizza with the cheese melted on top. J'aime Fleur Verte! C'est très moelleux et crémeux. 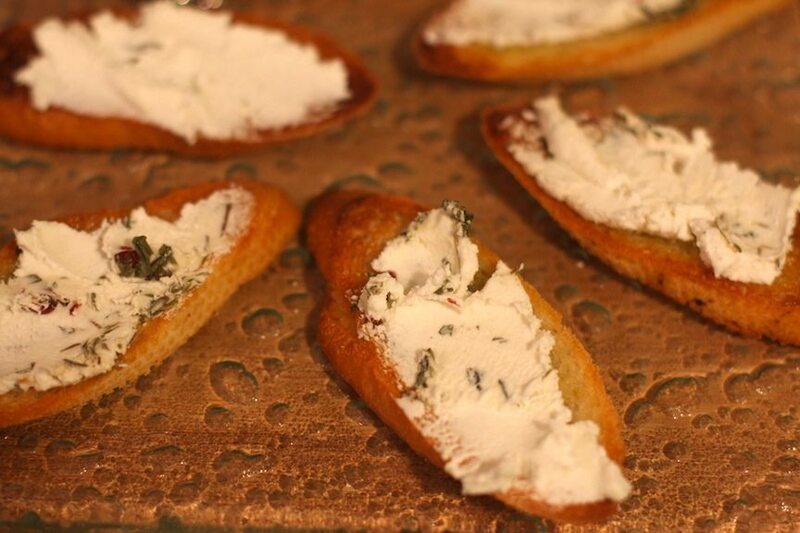 Fleur Verte fait bon bruschetta avec pain croquant. Le saveur est unique et je recommande achat. C'est diffèrent de autre fromages je goûté. Je n'attend pas partager avec tu!